By Mario Alexander on April 15, 2019. When you have a dog and you've spent a great deal amount of time with them, you can probably tell when it's not their day. 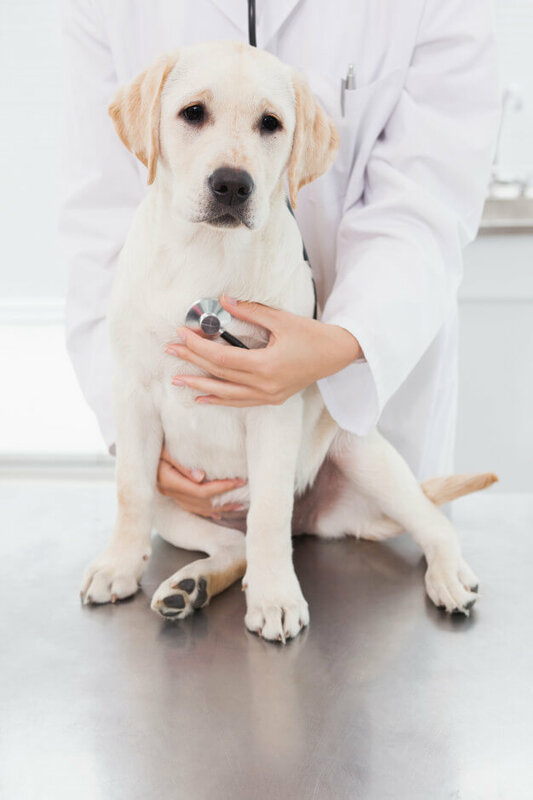 However, for people who are not certified pet health professionals, it can be hard to discern between a bad day and a more serious problem. But reacting quickly to any sign of trouble is the key to keeping your pet healthy and safe. It can help your pet suffer less and feel better sooner. More serious health issues can also drain your budget, especially if you let their condition last for too long before contacting a vet. This is probably the first sign you will see. Maybe you'll wake up in the morning and your buddy won't be jumping all over you as they normally do. Or you'll come back home from work and they won't be so interested in taking a walk. It's important to track even the smallest changes. For example, you might see your dog fatigued, always sleeping in its corner, ignoring your presence or just looking at you but not rising up. They may become irritable and jumpy at things they regularly see or hear. Some dogs, on the other hand, may become clingy or needy if they feel unwell. You may notice that they are not so eager to climb the stairs or that climbing on your couch is much more difficult for them than usual. It's important that you pay attention to these behavioral changes, as dogs usually enjoy following a routine and pattern. So anytime they stray away from it could mean they are in pain. This sign is strongly related to nervous system problems rather than other health problems. But, no matter how rare you think it is, a nervous issue is a dangerous one for your dog and it needs immediate attention. If your dog is having a seizure, you need to immediately visit the vet for an examination. However, some signs are less obvious and harder to recognize – for example, your dog could be having repetitive twitches or they could be involved in other sorts of repetitive behavior like circling the floor. Keep in mind that, while it may seem like they are just playing, these are signs that they do not feel well and they may have a serious nervous system problem. They may appear weak or frail, stumbling around your home. Their head may be tilted or they may appear disoriented. Though our pets like to be goofy at times, signs such as these could be serious and they are likely not just tired but rather in need of immediate medical attention. If they lose their consciousness, you need to take them to the vet immediately as well. All of these signs show that your dog may be suffering from something more serious than you can handle and you shouldn't try to fix the problem on your own. Dogs like to suffer in silence even though you might expect them to yelp or vocalize their problems. So, how do you notice this? For one, you might actually be able to see that they have a swelling on their joints or bones. By touching it lightly, you will be able to feel the warmth of the swollen area. A toothache or other mouth or throat issues might cause them to have trouble chewing. They could cause them to drool a lot as well. If your happy pup is suddenly unwilling to jump or even get up and take a walk, this is also a warning sign. Finally, one of the clearest ways to know that they are hurting is when they are guarding their body or a place where it hurts while growling at you. Be careful in how you approach them. Don't make any sudden movements and handle your pup gently, with love and care. Giving your dog medicine that wasn't prescribed for them is never a good idea. It's better to get an examination and a prescription from your vet. Human OTC medicines are not an option either since they can be poisonous for your pet. When you're sick, you can tell that you look different. The same thing will happen to your dog. This is probably one of the first things you'll notice, next to the lack of movement or usual joy. There might be some sudden lumps or growth in old lumps. They might even be oozing or bleeding. If you notice this, take your dog to the vet immediately. Weight loss and/or weight gain are one of those things you will most likely not notice right away. But if you do see some appetite changes, note that and track for how long it lasts. Contact your vet for possible reasons, even if they haven't lost or gained any weight yet. Especially if the change in appetite lasts for more than a week. Hair loss is often perfectly normal with dogs but if you notice more dog hair in your house than usual, then this could be a cause for concern as well. Especially if you are taking great care of their hygiene and they still look like they've never been groomed. Other signs of their lack of well being that you can pinpoint from their appearance will be scratches and rashes. Tummy issues are definitely the most common signs of illness with dogs. For one, they will likely lose their appetite if they feel unwell. You might also see some vomiting or diarrhea that lasts a lot longer than usual. Perhaps they're drinking less water and having trouble with passing urine or defecating. Otherwise, you might notice an increase in these actions which signals a different set of issues. Naturally, if you notice any blood in their urine, poop or vomit, your dog needs an immediate trip to the vet. Your furry friend can't speak for itself. This is why you need to be a diligent owner and track your pet's behavior carefully, checking their state while you pet them or spend time with them. Regular checkups should also be mandatory as they can prevent bigger issues.